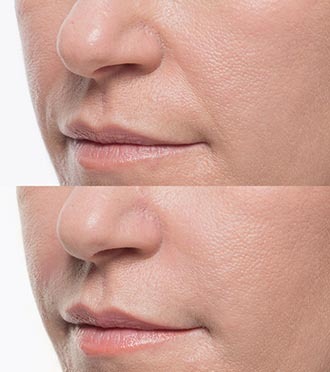 Bellafill®️ is a dermal filler that stimulates collagen growth to help maintain a youthful appearance. What’s unique about Bellafill®️ is it’s the only FDA-approved filler to be safe and effective for long-term collagen growth. Patients see results instantly, while the filler continues adding volume and smoothness to the skin for up to five years. After five years, 83 percent of patients report being satisfied with the results. To schedule a Bellafill®️ consultation with a Gainesville dermatologist, please contact Gainesville Dermatology Aesthetic Center today. 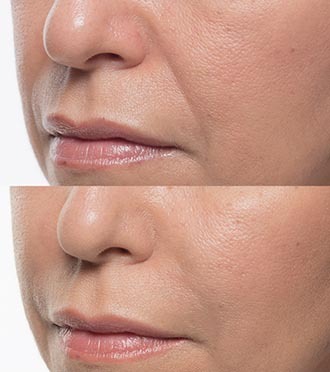 Bellafill®️ is a facial collagen injection made of polymethyl methacrylate (PMMA) microspheres suspended within a smooth collagen gel. 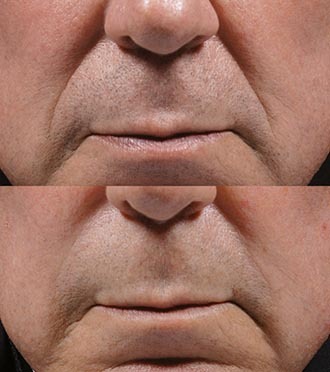 Once injected, the filler immediately reduces the look of smile lines. The microspheres, meanwhile, interact with the body to create a scaffold of sorts upon which natural collagen can develop. Over time, that natural collagen foundation adds volume to the skin, making wrinkles appear softer and smoother, and overall granting a natural-looking, youthful appearance that lasts for up to five years. Bellafill®️ can help women and men of all ages achieve natural-looking, instant and long-lasting results. Compared to similar skin treatments, Bellafill®️ is appealing because it involves less fuss than traditional dermal fillers. Whether you need to put your best face forward every day for your career or you just feel younger than you appear, this dermal filler can produce the desired results while boosting confidence and self-esteem. 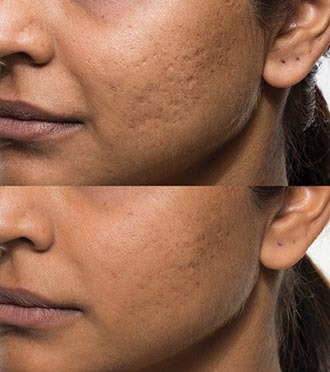 Bellafill®️ is indicated for two main types of treatment: 1) to smooth smile lines (nasolabial folds); and 2) to soften acne scarring (moderate-to-severe atrophic, distensible acne scars) in patients over 21 years of age. Also known as “smile lines” or “laugh lines,” nasolabial folds form on either side of the face from the nose to the corner of the mouth. These lines form from frequent laughter but can become deeper and more noticeable due to smoking or aging. 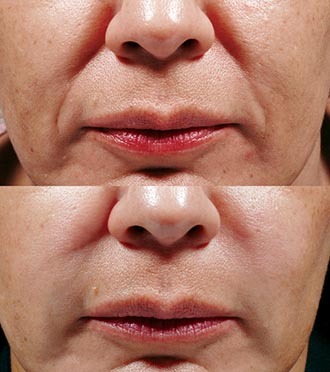 Thinner, finer dermal fillers exist but don’t last and can’t lift deep folds. But after an injection of Bellafill®️, smile lines become noticeably smoother immediately. Then, over a period of up to five years, the filler continues restoring a natural-looking, youthful glow. Bellafill®️ is the only FDA-approved dermal filler for long-term acne scar treatment. The collagen adds volume to distensible acne scars, working immediately to soften their appearance and allowing the scar tissue to become level with the surrounding skin. 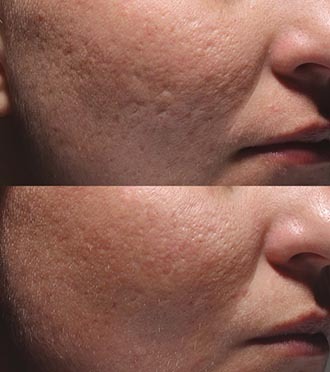 As opposed to short-term hyaluronic acid fillers, Bellafill®️ can improve the appearance of acne scars for up to one year with 90 percent patient satisfaction. Where Can I Get Bellafill Treatments? Bellafill®️ is available from certain licensed physician providers. 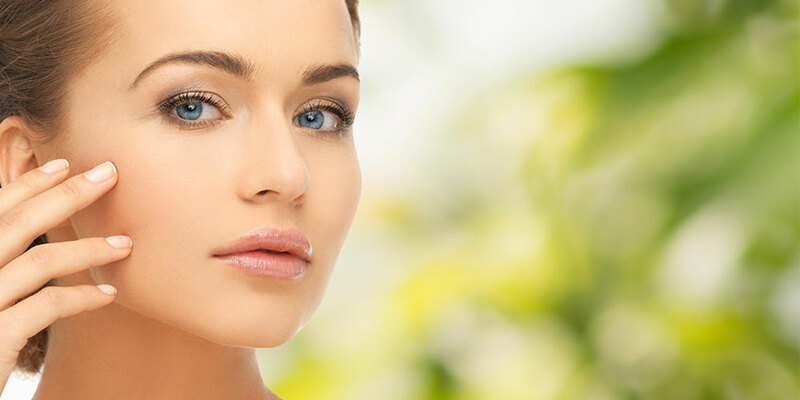 Gainesville Dermatology Skin Aesthetic Center is one provider of the collagen injection in Gainesville, FL. Whether the objective is to smooth wrinkles or soften acne scars, our dermatologists plan each treatment based on the personal goals of the client. Our cosmetic services are also reasonably priced relative to the area. Please contact our office to schedule a one-on-one consultation.